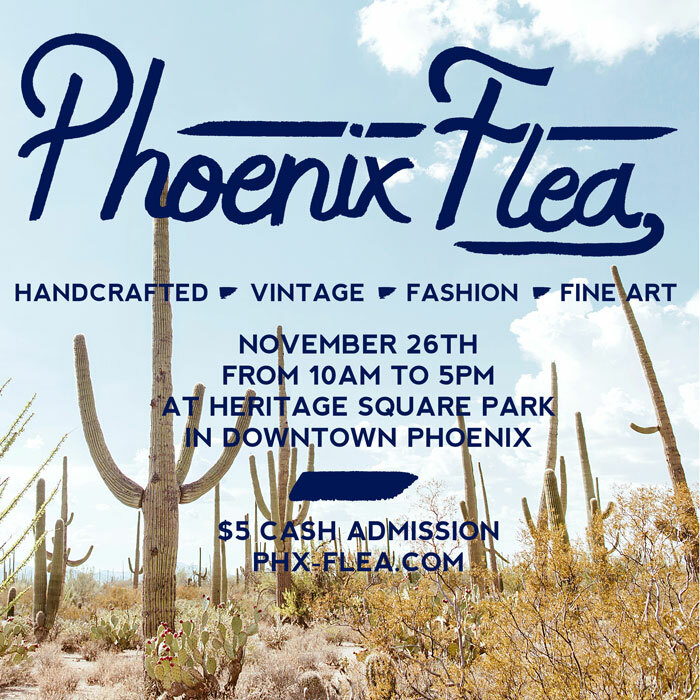 Phoenix Flea After Dark in July was such a success, so I signed up for Phoenix Flea on November 26! This happens to be Small Business Saturday as well! You have the chance to get a jump on your Christmas shopping while keep your shopping efforts local. If you’re staying in Phoenix the weekend after Thanksgiving, make sure you stop by and shop dozens of local artists and craftsmen!